The cutlass was a favorite not only among the seas greatest thieves and bandits, but among all her sailors, and for a few great reasons, reproduced faithfully here in the Pirate Boarding Cutlass. The stainless steel blade is straight-edged along most of the blade, with a gentle, sloping curve near the tip, as well as a blood-groove which runs the length of nearly half of the blade. This groove, also called a fuller, serves primarily to decrease the weight of the sword, something any sailor would be grateful for. The hilt and guard lack embellishments, although the hilt does feature a defensive cup about the grip, providing excellent defense for the hand while wielding the cutlass. The grip is an alternating pattern of smooth and scaled bands, adding security to the cast-metal grip, while the pommel is a bulb featuring matching designs as the grip. 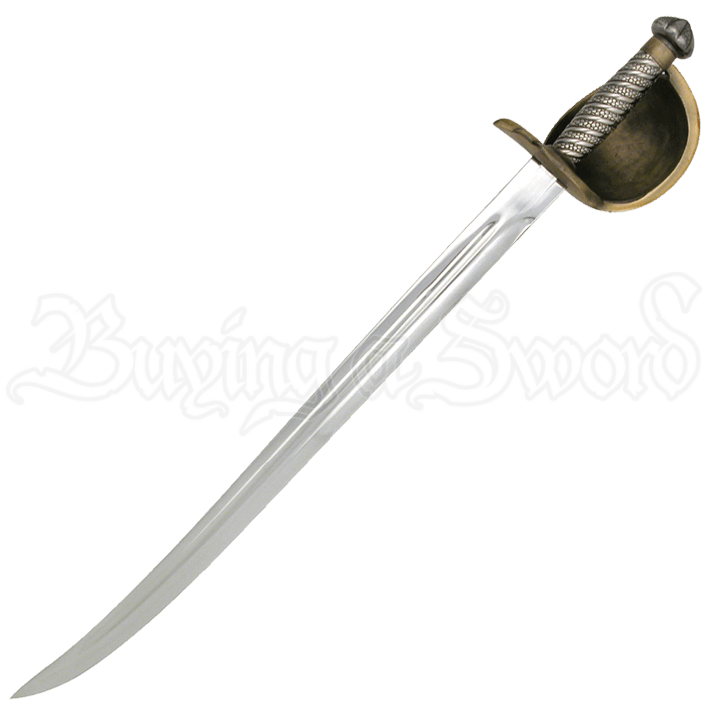 It is little wonder that the cutlass was a favored weapon of sailors and buccaneers of all sorts, given its effective length and blade, and given time, our Pirate Boarding Cutlass could become one of your favorites, too.